Today’s world is filled with thousands of problems related to health in which one of the most distressing problem is having a lot of the belly fat which of course looks creepy. It is not a big issue towards the men and women only like they are doing desk job, never do exercise etc. but the issue related to that is obviously going throughout the world either with middle-aged, younger, kids and the reason behind that is the sudden changes in their lifestyles. So after realizing that you should have to do strict regimes and adopting good and healthy habits, you should work immediately for that because the pot belly will grow into some kinds of disease like cardiovascular diseases, diabetes and dyslipidemia. It does not matter what you are taking in your daily diet but the entire thing that effects is that how you maintain your healthy body and how you are physically active. Regular exercise is the way you can keep your body healthy and to keep it good shaped. Physical exercise keeps your body active, energetic so it is just like an easy remedy to reduce fat from your belly and other fat related diseases. If you are looking for the physical exercises then nothing would be great from jogging, running, yoga, gym, dancing and other required activities. 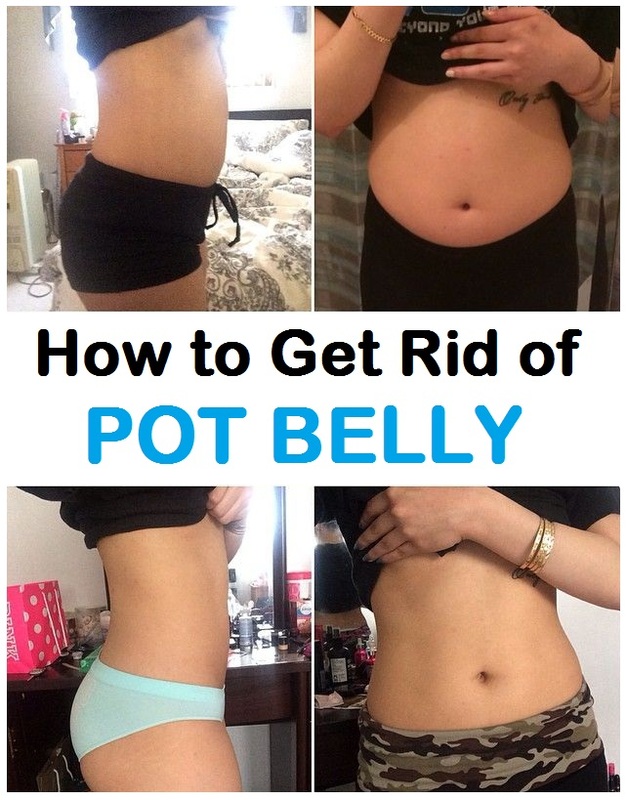 All the solution of getting rid of the pot belly is included in those above mentioned exercises and getting the flat belly is now an easy and simple task by doing so. Focusing on unhealthy food would be the major risk of having pot belly that affect kids and adults all alike. The reason of increasing belly in the kids is due to they go to schools and have meals that are not suitable for their health. In the present world, the eating habits are changed as there are most essential minerals are packed with high cholesterol and fat. A famous saying is that, “Eat breakfast like a King, lunch like a prince and dinner like a pauper”. Start a day with the healthy breakfast as it keeps your body energized for the long time and you work strongly. Consuming the calories in the morning can process easily day by day as compare to the consumed calories in dinner. So take vigorous breakfast and light dinner which is powerfully recommended for school going kids and office going people. In the present day, routines are likely to be changed differently that physical activities such as walking and cycling are totally missing just because of the developed technology and desk jobs that are thought to be the first and foremost requirement to live in this world. But that is not a right choice. Along with the desk jobs, you should always take your time for your health. It would be better choice if you avoid cars and motorcycles rather walking or cycling to school, colleges or any work place. Fiber is a type of food which is based on plants and our body can’t easily digest it. Taking fiber in your daily routine will help in getting rid of weight loss due to the presence of some especial properties in it. As it cannot be digested immediately so it remains in our stomach for the long period of time so it makes us feel fuller. Fiber also helps in reducing many diseases. Try to take whole grains because they are enriched with fiber and strongly recommended for our good health. Water purifies your entire body and it is the basic requirement. Average amount of water intake is 3.5-4 liters every day. Through the water consumption, your body is all day hydrated and your organs function clearly. Some people like to take soda water or soft drinks in order to reduce the thirst but that is completely wrong, instead of these poisonous drinks, they should drink distilled water so the toxic substances easily ruined out from your body. Soft drinks and sodas contain sugar and calories that result in the body fat to be increased day by day. Consuming proper amount of water will help in decreasing the pot belly. Stress is the main reason behind unbalancing of the body’s health. There are certain ways in which stress is the first contribution in gaining the excessive belly fat and gradually it becomes like a shape of a pot. You should make a routine of proper intake of your meals otherwise your hunger could disturb and the proper consumption of the meal would lead to obesity or weight loss. At some ranges, stress could be the factor of hormonal disturbances thus it makes the body and mind too tired that you never want to do any work. In adult, stress is the most common cause of the pot belly so try avoiding stress and live your life happily. According to the research, pure alcohol is the leading factor of increased calories in the body. US study established that two glasses of wine has many calories as three chocolate biscuits and would require 52 minutes of walking to burn it down. So avoiding the alcohol is just same as you avoid chocolates. Gaining belly fat might be thinking as the case of having some disease or deficiency in the body. It needs regular health check-ups, especially after a certain time and age. When the human body reaches to the desired age then it becomes able to catch some serious disorders like cardiovascular diseases. Regular check-ups will help in that your body is not suffered with any hidden problems. While you are sitting, make sure your back should be straight if it is bend then the posture and shape of your body will be affected. There is a link between your abdominal fat and the body posture so keeping it correctly will never let you get under this problem. Sitting correctly with the back straight maintains the equilibrium in the body. It also avoids many problems like muscle pain and make you feel physically active and healthy. Take medicines where is it strictly required, otherwise stay away from the medicinal consumption. Pot belly among the middle aged men is usually due to the hormonal imbalances in the body. So taking prescribed drugs and different types of steroids may lead to the side effects resulting in the obesity. If you take medicines without consulting from the doctor could be dangerous for you because you do not know that by doing so, you are destroying your entire metabolism your body so unnecessary medicines are non-recommendable for each and every person who are planning to shed some extra fat.